In an age of presidents tweeting nuclear threats and a lack of childlike wonder in my usually sleepless bagged eyes, we can find solace in a more simple time. A time where Justin Bieber was recording “Baby,” and a time with the Jonas Brothers. This is the mid-2000s. For the first time a Disney backed boy band broke out into a more mainstream audience and became a part of pop culture. 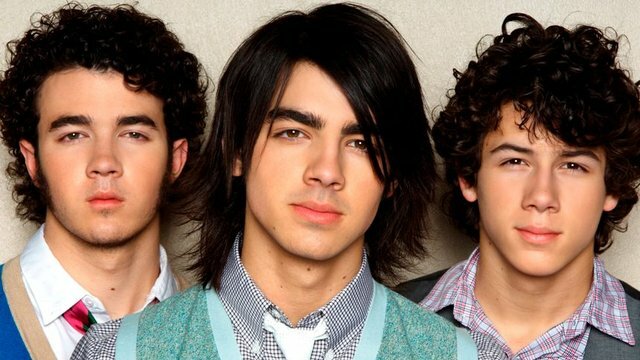 These brothers had every piece of a prolific boy band: a bad boy (Joe Jonas), a good boy (Kevin Jonas), and the quiet artsy boy (Nick Jonas). Their private school uniform-esque outfits were a blast from the past but refreshingly fashionable, and one thing they had on their side was name recognition and branding. They took their musical talent and turned it into a show and a movie —”Camp Rock” on the Disney Channel. They then grew out of Disney’s influence and would become solo acts, making their own style of music. But other boy bands are not as lucky. Big Time Rush is a perfect example. Instead of forging their TV deal from the popularity of their music, they did the opposite. BTR was a show before they were an act, which is backwards, and since Nickelodeon owned the rights to their band, there was no room to grow. The group’s dynamics were not told through the music; they were told in the show, cheapening the audience’s connection to the artists. Also, since Big Time Rush appeared out of nowhere, their lack of name recognition did not help. Another issue with making a TV show about a band that has not formed yet is that the TV show has a direct influence on the music. Songs were written from the point of view of the characters of the show Big Time Rush, not the band members. The Jonas Brothers did not have to be trapped in this creative box and could release music about anything, doing their show on the side. In terms of music, the Jonas Brothers are superior. Their constant blend of rock and pop make their slow jam or deep emotional songs that much more hard-hitting compared to the constant, farmed pop. With no instruments, change of tempo, or bridge, BTR are a broken record. At the end of the day, Big Time Rush are pale in comparison to the musical talent of Joe, Nick, and Kevin Jonas who make up the Jonas Brothers, the best boy band of all time.